First up is the Ombre Nudes Eye Palette* - this palette contains 5 neutral shades that are cool toned and have a matte finish. I already own their Ombre Rouge Eye Palette and I love it, so I couldn't resist picking up its sister. The way these shadows are lined up makes it a no-brainer to use, I usually work my way from the lightest to the darkest shade. The shadows are so smooth that they blend nicely with little effort. 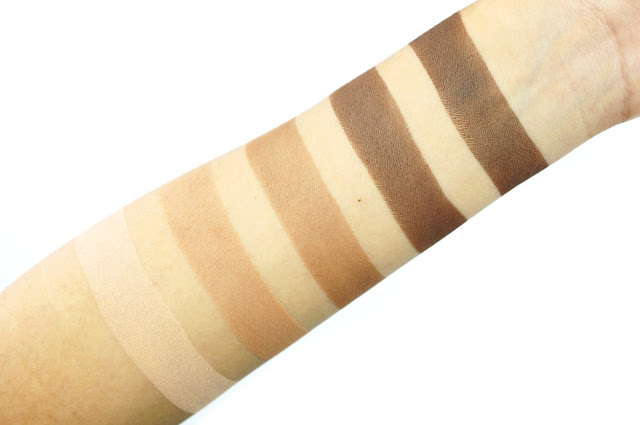 My favourite shade is the second one from the right, because for some reason it's extra buttery. This palette would be your ideal travel buddy as the packaging is slim and the shades are so versatile, you can use them for your eyebrows and contour. I've heard so many good things about the Mineral Blushes* from Becca, so I picked up this beautiful pink blush called 'Flowerchild'. 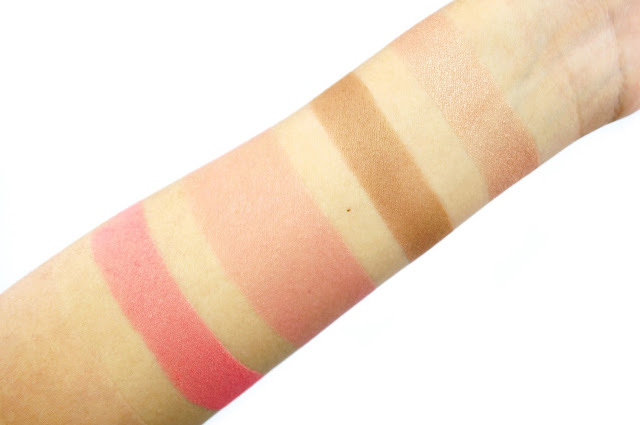 It is a warm rosy shade with slight shimmer that gives you a subtle sheen on the cheeks. 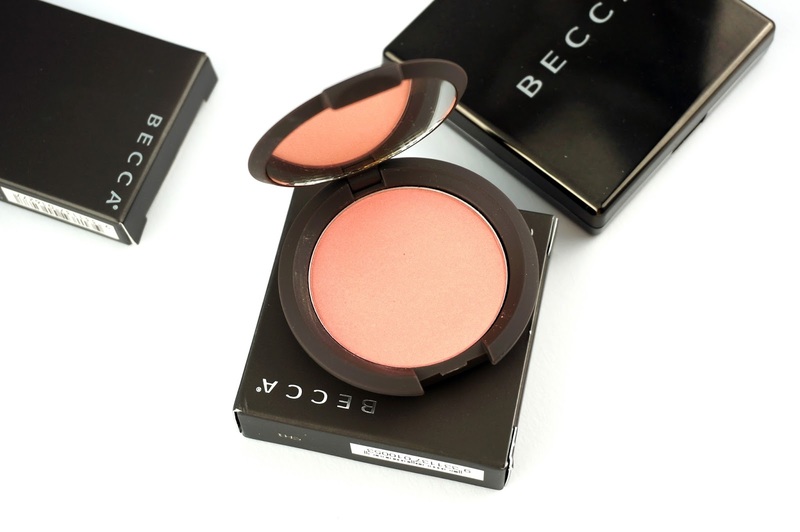 This blush is a very wearable for everyday and the texture is smooth and easy to blend. I would suggest using a light hand or a fluffy brush and slowly build up the colour as the blush is rather pigmented. I have been using this blush for the last two weeks and am very impressed with its lasting power - around 7-8 hours on my skin. If you are into natural glowy cheeks, definitely check this out. Yes, another palette! The Highlight/Lowlight Palette Pressed* is a great contour and highlight duo to travel with. 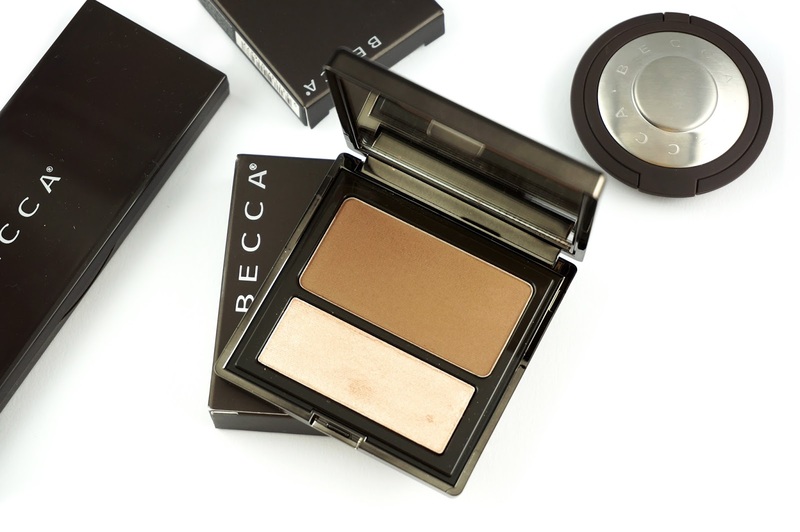 The Lowlight Sculpting Perfector Pressed is a neutral contour powder that mimics the shade of natural shadow; and the Shimmering Skin Perfector Pressed Opal is light golden champagne shade that has a frosted and reflective finish. The powders are both intensely pigmented and a little goes a long way. They blend beautifully and help to add dimension to your face while keeping it looking natural. 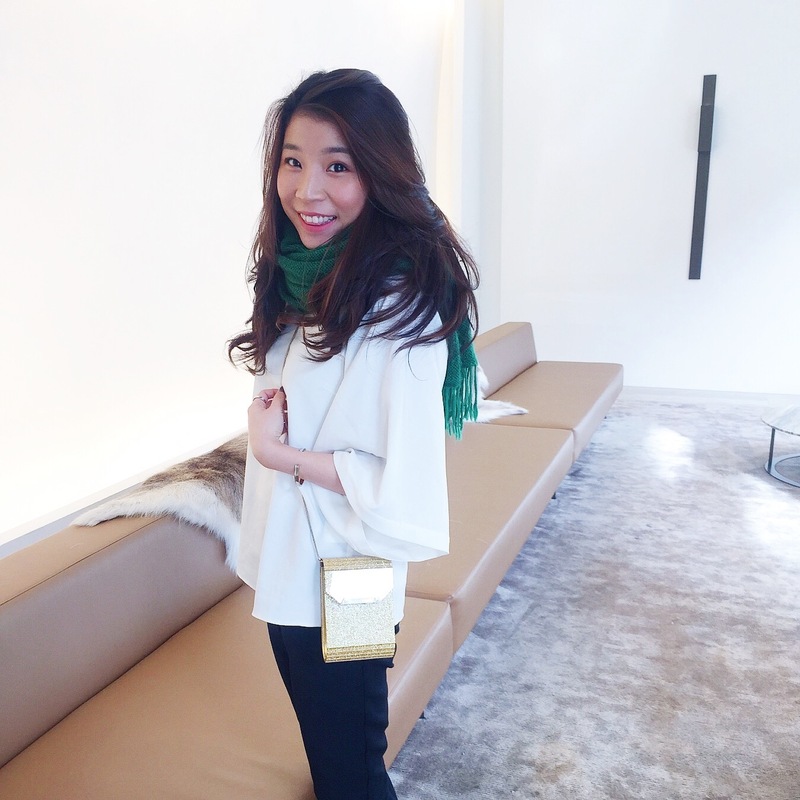 The highlight is so soft and finely milled, it almost feels like cream to touch. Just like the eyeshadow palette, the packaging is also very sleek and compact. 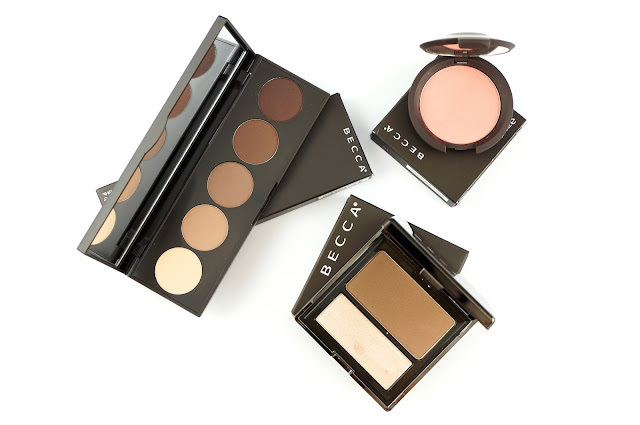 One more thing about Becca is that most of their makeup are free from parabens, sulfates, phthalates and fragrance, which is great if you have sensitive skin. 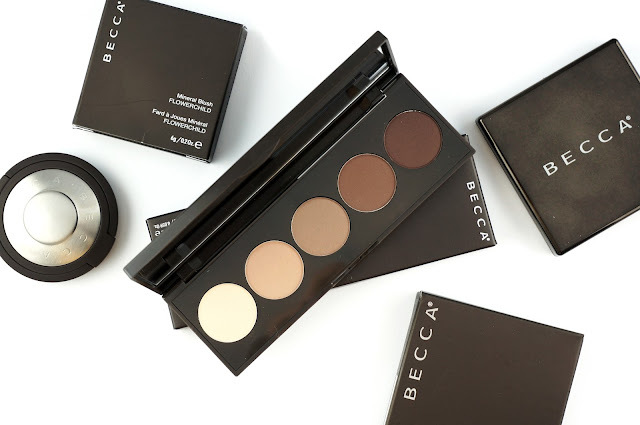 Becca Cosmetics has gotten a lot of rave this year and I can't wait to try more of their products. (I already have my eyes on the Under Eye Brightening Corrector ^^) Make sure you go check out Sephora.com.au for their full range of goodies. *This post was sponsored by Sephora.com.au and products were sent to me for consideration. All thoughts on everything shared on this blog are entirely my own and are my honest opinion.